Stay healthy, stay young, and stay in balance with Dr. Erika’s groundbreaking prevention and wellness anti-aging bible. Hormones regulate our bodies and run our lives—when they’re in balance we feel great, look beautiful, are fertile and sexual, and enjoy every moment of our existence. When they’re out of balance, whether during adolescence, pregnancy, menopause, or from medication or surgically induced, it can lead to devastating conditions like infertility, postpartum depression, insomnia, weight gain, loss of libido, memory loss, and unnecessary tests and surgeries. Erika Schwartz, MD, is the leading authority on hormone supplementation in wellness and disease prevention. 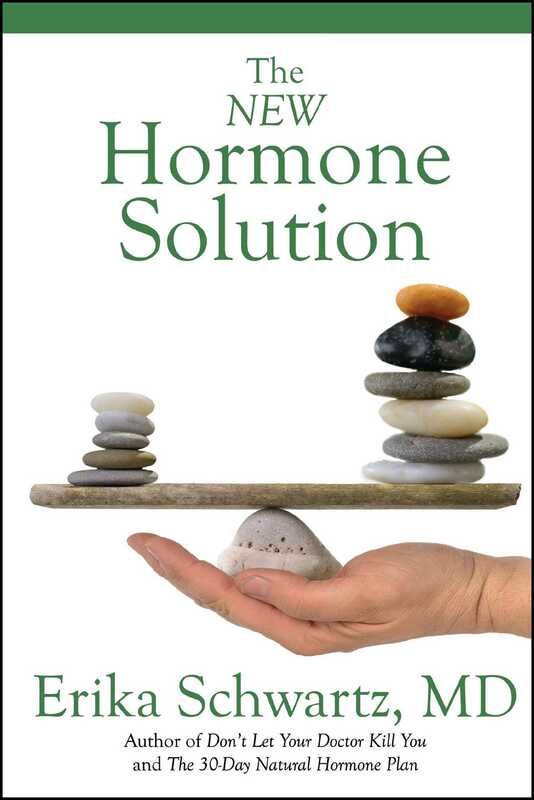 In The New Hormone Solution Dr. Erika shares her successful, proven program to help women (and men) of all ages prevent and eliminate the symptoms of hormone imbalance in an integrated and caring approach. Learn what hundreds of thousands of healthy men and women have learned from following Dr. Erika’s unique and caring programs. More books from this author: Erika Schwartz M.D.